What sets Jill Switzer apart as a mediator is her years of inhouse experience and her knowledge and understanding of the various forces that drive corporate clients to resolve matters. Understanding how to explore those motivations makes Jill a cost-effective and efficient mediator. 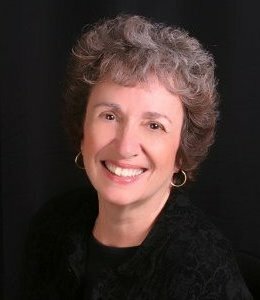 She has 40 years of experience as a lawyer, including 13 years as Senior Vice President and Assistant General Counsel at Sanwa Bank California/Bank of the West, where she handled a wide range of employment, banking operational and lending, corporate security, and insurance coverage matters. Jill mediated scores of cases as an advocate and found it to be a better and much more cost-effective way to resolve disputes quickly and efficiently on behalf of her corporate client. Jill writes a weekly column, Old Lady Lawyer, at www.abovethelaw.com and contributes regularly to both online and print legal publications. She is a frequent MCLE speaker on various mediation, employment and banking topics. Jill served as a member of the Los Angeles Superior Court party select and pro bono panels until their demise. She is a past chair of the Los Angeles County Bar Association Senior Lawyers Section. She has served on a number of State Bar and local bar association committees over the years, and was a Phase I member of the State Bar's Task Force on Admissions Regulation Reform. She has also chaired the Pasadena Library Commission. Believing in "paying it forward," Jill has established scholarships at UC Berkeley as well as at Southwestern Law School, the latter in memory of the late EiLee Friedmann Camillo Cochran, one of the early presidents of California Women Lawyers. Prior to becoming a lawyer, Jill spent several years as a broadcast journalist for CBS radio stations in San Francisco and Chicago. All aspects of employment law, including wage and hour, discrimination, wrongful termination; banking and commercial law, lending, debt collection, and real estate. Jill brings to her mediation practice an understanding of internal corporate dynamics and politics and how they affect mediations in both process and substance. As Assistant General Counsel at Sanwa Bank California/Bank of the West, Jill advised her client on a panoply of employment related matters confronting any large multi-state employer, including wage and hour matters (with extensive knowledge of the California Labor Code), WARN Act issues, reductions in force, discrimination and retaliation claims. She drafted countless employment, commission, and severance agreements. As the sole in-house employment lawyer, she directed internal investigations and resolved hundreds of claims. Jill's other in-house experience includes stints as General Counsel of the Los Angeles County Bar Association in the mid 1980s, and senior counsel at First Interstate Bank of California from 1980-1984. Additionally, Jill also counseled various clients on a wide range of banking operational issues, corporate security matters, insurance coverage, lending and collection issues. She managed all significant litigation across the client's 19-state footprint, handled her own caseload, and represented the client in numerous mediations. Jill also served as a deputy district attorney for San Bernardino County, where she tried more than 40 cases to verdict in two years, and had her own practice, handling both trial and appellate work. Ms. Switzer is available throughout California.